The new Xiaomi MIUI 10.3.4 update brings lots of bug-fixes and value-added features to enhance user-experience on Poco F1. 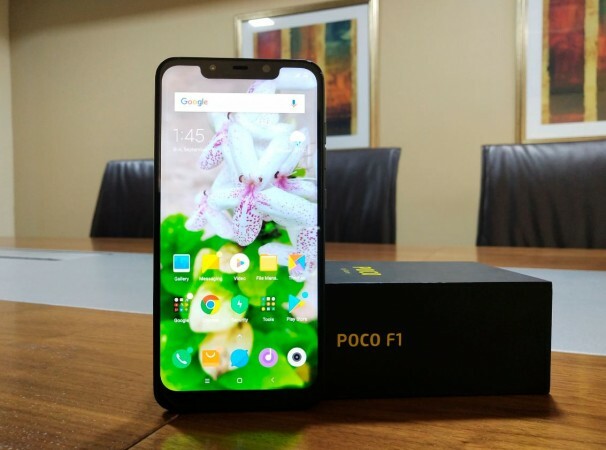 After weeks of beta testing, Xiaomi subsidiary Poco India has commenced rolling out the much-awaited incremental MIUI 10 update bring several value-added features to the Poco F1. C Manmohan, general manager, Poco India confirmed the news on Twitter the new MIUI v10.3.4 is now being deployed to Poco F1 in phases and so, it will take a few days to reach all corners of the country. As promised, the MIUI 10.3.4 finally brings the Widevine L1 support, which means you can now watch HD content on Amazon Prime Video, among other multimedia streaming services on the Poco F1. Also, Xiaomi is bringing Game Turbo mode that will offer user best user-experience with performance boost so that graphics-rich games play flawlessly and buttery smooth on the phone. Additionally, the MIUI 10 update comes with Google's March security patch to protect the phone from the latest malware threats. MIUI 10.3.4 update also brings Face unlock support for App lock, fixes bug causing longer time to hang the call, resolve issues related status bar, floating notification for calls appeared at the same time, Clock force closed on some specific dates, timer button start flashing after being tapped, new NFC (Near Field Communication) shortcut and you can now shoot 4K videos at 60 fps on the Poco F1 (review). If you haven't received any update notifications, check it manually by going to Settings >> About phone >> check system update. If it says there is an update available, follow the procedure as mentioned above.